Quilting is really popular these days. Not only do people pursue it as a hobby, but they also run whole businesses based on it. The best thing about running a quilting business is that you can do it from the comfort of your home. You don’t even have to quit your regular job! However, if you intend to make a business out of your skills or simply improve your craft, you will need a good quilting machine. Although there are many quilters that hand quilt, it is tiresome, especially when dealing with large projects. Additionally, machine quilting produces quilts of a higher quality. 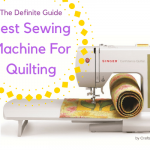 Investing in a good quilting machine will provide you with a host of features which will enable you to tackle bigger projects more quickly and efficiently. So now that you have decided to look for a quilting machine, what choices do you have? Don’t worry. We‘ve got you covered. There are two types of quilting machines. These are regular quilting machines and long arm ones. 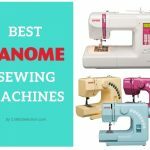 These are basically sewing machines equipped with features that make them suitable for quilting. They usually have a 7-inch arm. 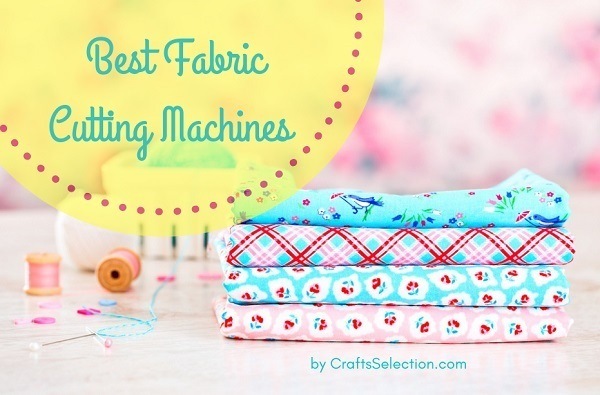 These machines are mainly used for what is known as free motion quilting. This is a type of quilting which involves lowering the feed dogs and installing a darning foot. Using this technique allows you to control stitch length and stitching direction by moving the quilt with your hands. 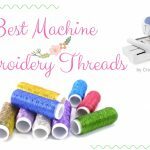 These machines consist of a 10-14 feet frame, a 9-13 inch industrial sewing head, a plastic layered table and fabric rollers. 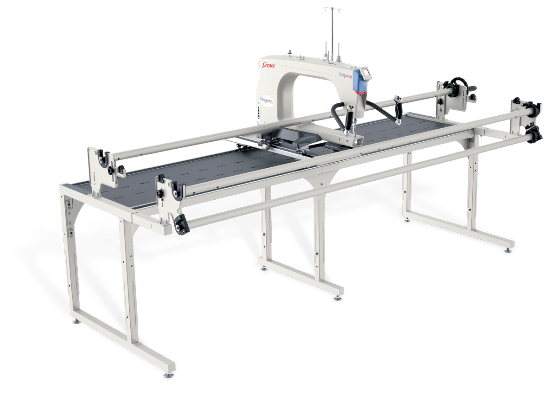 These long arm quilting machines are known for their speed and ease of use. When quilting on such a machine, the fabric remains stationary while the sewing head moves. 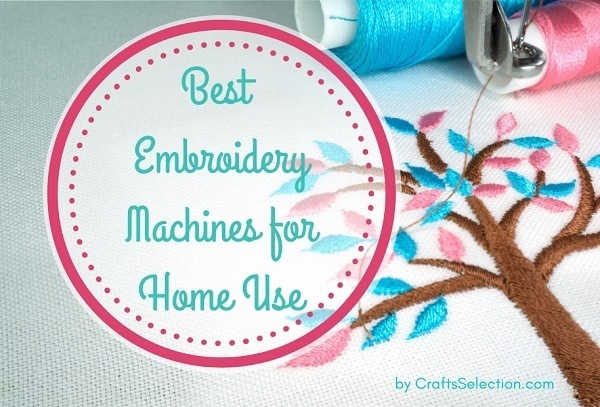 These machines are known to produce high-quality quilts with minimal effort. Getting a new quilting machine is exciting. Don’t let the excitement distract you though. Choosing the right one is not easy. There are several factors you have to consider. Here are some of them. When choosing a suitable quilting machine, you need to bear in mind what your intentions are. Do you mean to take up quilting as a hobby you pursue occasionally or do you want to set up a serious business? If you are going for heavy duty use, you should go for a long arm machine. It will enable you to produce several high-quality quilts a day. It will, however, cost you a substantial amount of money. 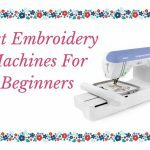 Alternatively, you could go for a regular quilting machine, but one which is full of features that will simplify your work. Such machines don’t come cheap. They are however cheaper than a longarm. 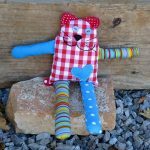 You will undoubtedly have to find a way to keep within your budget while still catering for your quilting needs. You should also consider the size of the projects you are planning to take on. For very thick quilts, the long arm machine is your best bet. However, it is more difficult to use. This makes it unsuitable for quilting beginners. Advanced users are more suited for this machine. 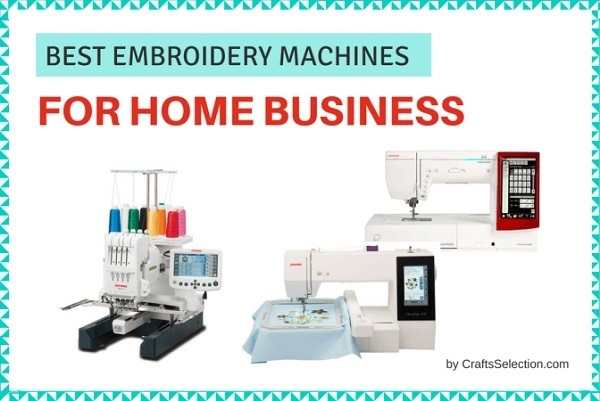 Ultimately, if you are looking to produce large, high-quality quilts regularly, you should opt for long arm machines or the most top notch of quilting sewing machines. They may be on the pricey side, but they are definitely worth it. 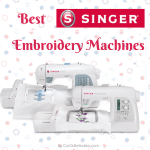 Whether you are looking for a regular quilting sewing machine or a long arm one, there are a variety of brands to choose from. Ultimately, your choice of brand is a personal decision. 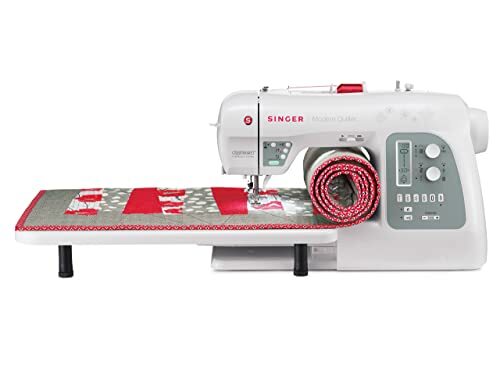 Brands that are popular for their quilting machines include Juki, Bentley, Laura and Ashley, Grace, Bernina, Brother, Singer, Handi, and Janome. As I mentioned before, you will have to ensure that the price of the machine you choose is within the limits of your budget. Warranty will also have a role to play in your choice. While most machines have a warranty of 5 to 25 years, there are those that have a lifetime warranty. 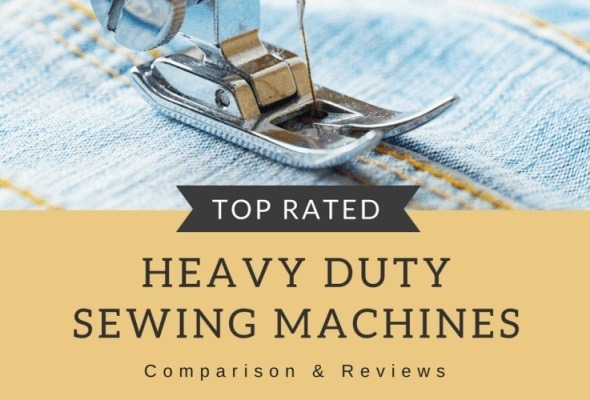 Lifetime warranties are especially common when it comes to long arm quilting machines. A lifetime warranty covers the entire lifespan of the machine. They, however, don’t cover issues relating to normal wear and tear of the machine. Before you purchase a machine, ensure you read through its warranty agreement. 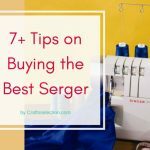 As much as owning a long arm quilting machine is the professional quilter’s dream, the truth is most of us can’t afford one. We end up doing our quilting using regular quilting sewing machines. We, therefore, have to be equipped with tips to ensure that the quality of our quilts is not compromised. Here are a few of them. 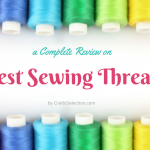 Eventually, your choice of the best sewing machine for quilting will be governed by personal preferences. Make sure to take your time researching your options before settling for one.